CFA Association Russia continued its business breakfast series with an in-depth seminar on Russia’s new law on capital amnesty. 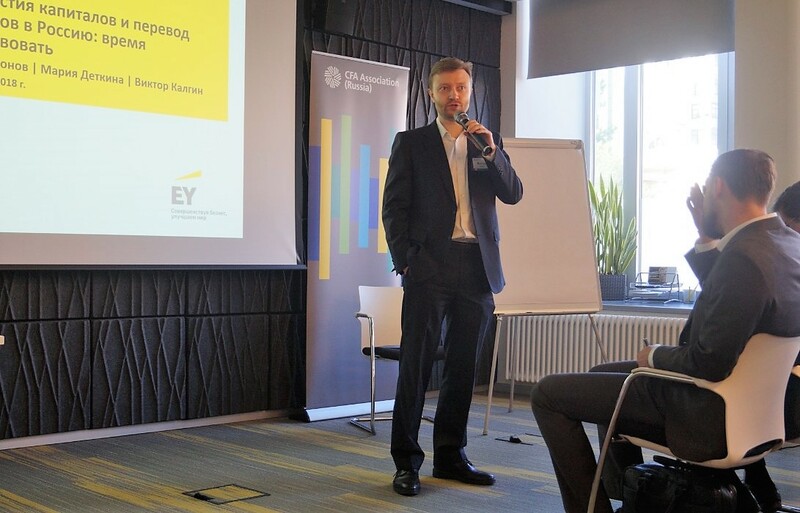 Three high-levels experts from EY – Victor Kalgin, CFA, Anton Ionov, and Maria Detkina – gave a two-and-a-half-hour long presentation telling about the details of the capital amnesty law. 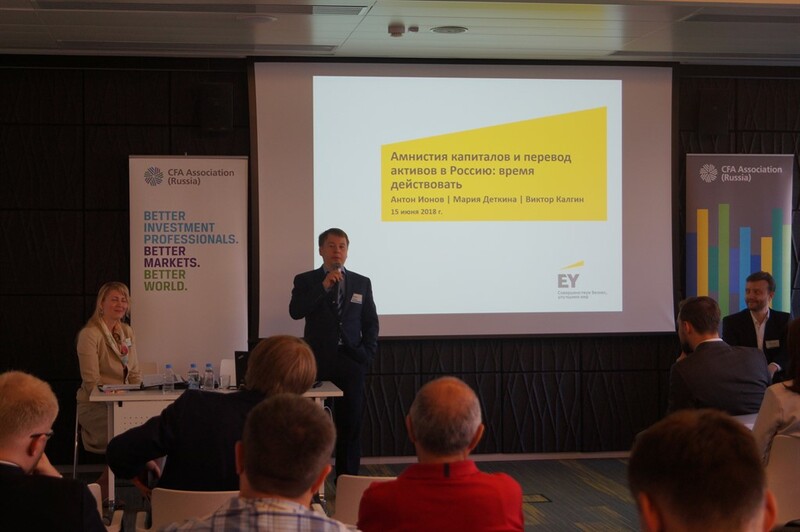 The morning event caused quite a lot of interest among the CFA Russia community gathering around 40 guests at the EY office. Earlier this year, the Russian government signed a set of laws extending a capital amnesty until February 28, 2019. The law allows Russian tax residents to declare their foreign assets and return them back to the country without tax penalties or prosecution. By signing the bill the government aims to curb the outflow of capital from Russia. Above: Maria Detkina and Anton Ionov of EY. According to the speakers, this is the second stage of the capital amnesty, which was initiated by the government in March 2017. Based on this bill, tax residents, who have not submitted declarations before and those who already participated in the first stage, can file special declarations. The law guarantees anonymity, dismissal of criminal charges, and a possibility of keeping declared assets in a foreign country. Furthermore, the law states that those who used the amnesty during the first stage will preserve their guarantees. During their presentation, the EY experts went into details about the specifics of the amnesty, pointing out which assets were allowed for declaration in the new edition of the law, who should participate in the amnesty and how these individuals could benefit from it. The presentation was held in the form of a dialogue with guests actively participating in the conversation. A full video of the event is available for CFA Russia members and everyone who registered for the business breakfast.